Classic design work boot made with the latest technologies to offer a product featuring unprecedented flexibility and wearer comfort. Padded collar and tongue for more comfortable and firm fit. Moisture wicking internal breathable mesh lining giving inner comfort. Dual Density PU/Rubber sole: exceptional abrasion resistance and ideal for environments where oils and solvents are used. 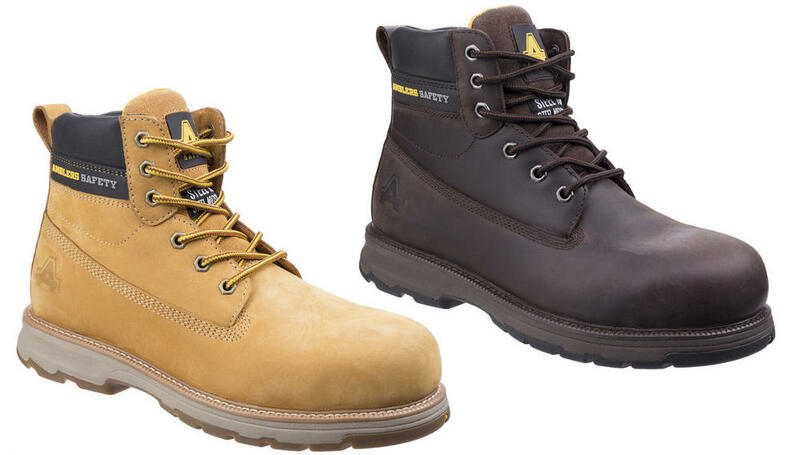 Amblers AS170 Wentwood Men Safety Boots conforms to: EN ISO 20345:2011 S1-P SRA.